A great looking top to celebrate the Eagles victory! 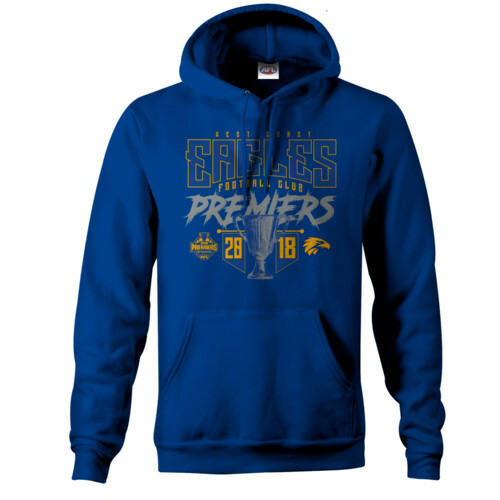 Commemorate a very special 2018 season for the West Coast Eagles with this 2018 Premiers Mens Hoodie. Featuring the clubs logos and the Premiers artwork, this great looking hoodie is made in an Eagles blue coloured cotton fleece fabric, and also has a pouch pocket on the front. A fantastic gift for the proud Eagles fan!